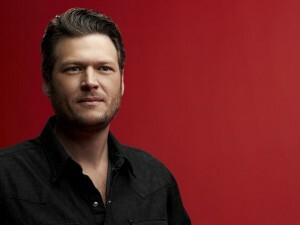 The Allentown Fair today announced that country act Blake Shelton will take the stage on August 29th. Shelton, a judge on talent search/reality series The Voice, is a Grammy-nominated artist and has twice been named “Male Vocalist of the Year” by Country Music of America. Tickets for the show go on sale Saturday, March 10th at 10am and cost $35 and $51. Shelton will be joined by opener Sunny Sweeny, an up-and-coming country singer. The Maine, an alt-rock band from Arizona, is heading out on tour in support of their December 2011 album Pioneer and will be stopping at Crocodile Rock in Allentown on May 8th. After opening for bands like We the Kings, Taking Backs Sunday, and Never Shout Never, as well as performing on the Warped Tour, the band’s current tour will be their third headlining tour. The Maine will be joined by Lydia, an indie rock band also from Arizona, and Arkells, a Canadian alt-rock band whose singles have done well on the Canadian alt and rock charts. Tickets for the show are $15.